Ministry lessons from… Jurassic World? It’s time for some hard truth. Ready for it? On opening weekend, Jurassic World made more than $208 million. The going rate for pulpit supply, without mileage, is between $100 and $200 a week, depending on judicatory and congregation. This means that we paid one million times more cash to see computer generated dinosaurs than we pay to invite any given preacher to a pulpit. Naturally, this is apples and oranges. Most preachers don’t have a team of marketers to promote a sermon, or a year to create and hype it. But there’s actually some value in exploring this discrepancy. We don’t do a whole lot of calculus in MDiv programs, but that makes it all the more interesting to look at math like this. Let’s dive further into the Jurassic World vs. Ministry numbers, and see what we can learn. 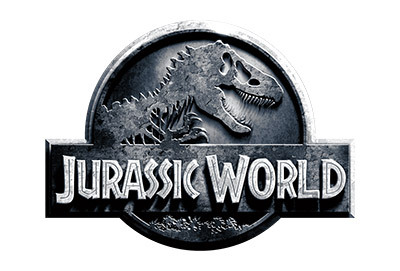 Jurassic World: Innumerable – with home video release the possibilities are endless. So what do we do with this? Even though it isn’t a fair comparison, there are still a number of insights we can gather. We interact with things we like on social media. Some churches record studies and sermons and post them to social media outlets. Do you? If not, why? How else can congregants share them with people in other places? We have longer attention spans than we admit. People can sit still and pay attention to a movie for over two hours. The special effects are part of that, but even more important is the writing. If you lose people in your sermons, classes, or communications, attention spans may be part of it. On the other hand, they may not. Repeat “showings” are powerful. If your work exists only on paper or in a file on your computer, no one will ever find it. On the other hand, if you make it available on-line, that one really great lesson may find an entirely new audience hundreds of miles away, or years in the future. There’s a common culture. Regardless of what popular films portray, they can provide a degree of shared cultural experience that is foolish to ignore. It’s good to have an idea what the people you minister to are watching. People watch movies. In difficult economic times, people are forking over hard-earned money to go to a theater. Those hours of escape from the pressures of life are that valuable. When you think about the things your ministry does, do any of them provide that same kind of sanctuary? How could you offer a few hours of rest to people who can’t afford to take a family to the theater?